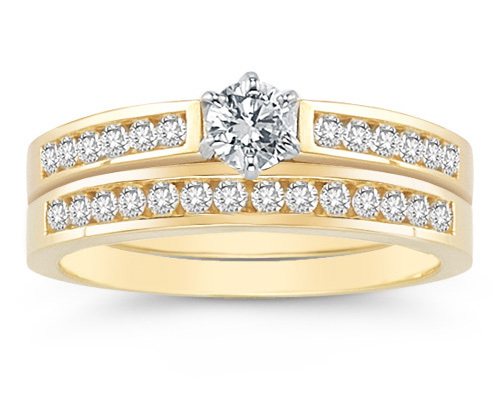 A beautifully matched diamond wedding ring and engagement ring set with a total of 0.55 carats of high quality diamonds in 14k yellow gold. Set with high quality, G-H Color, SI1 Clarity Stones. Apples of Gold Jewelry guarantees the 1/2 Carat Diamond Wedding Ring Set, 14K Yellow Gold to be of high quality and an authentic engagement ring with real diamonds, as described above.